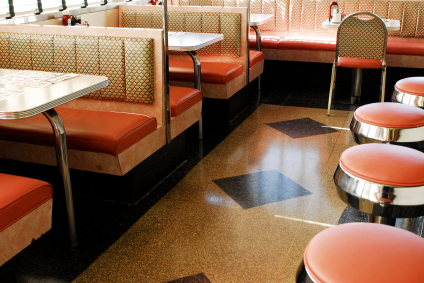 If you are a Restauranteur, you know how many patrons file in and out of your booths and sit on your furniture day in and day out, causing wear & tear damage. Part of doing business is finding cost effective & hassle free solutions for those torn vinyl bench seats, dinged tables, bar stools and torn leather dinning chairs. Our mobile technicians come to your location to provide repairs and redyeing for all your restaurants seating and furniture reconditioning needs. We would love for you to CONTACT US to discuss how we can help you keep your restaurant looking like new.